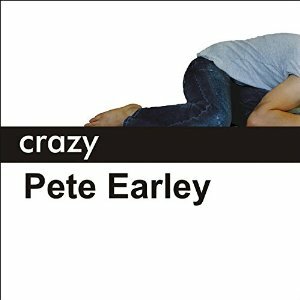 When Pete Earley’s son was diagnosed with schizophrenia Earley was devestated. His son’s potential career was on the line, he wasn’t willing to accept treatment, and he was generally unpredictable and very unsafe. When Earley tried to get his son into the hospital, his son was turned away because he didn’t want to be treated – and laws say that unless someone is an immediate threat to himself or others, he can not be treated involuntarily. Earley had to pretend his son was a threat to Earley’s well-being to get his son hospitalized. Then Earley went to a commitment hearing to make sure his son stayed in the hospital until he was better. Early was appalled by his son’s defense lawyer who did her best to defend Earley’s son despite his son’s clear mental illness. In her own defense, the lawyer said it was her job to defend the rights of someone who did not want to be committed. Earley’s son won the case and was released. After this incident, Earley’s son broke into a house, peed on the carpet, turned over the all the photographs, and took a bubble bath. He was arrested and charges were filed against him by the family. Despite Earley’s pleading with the family that his son was not targeting them specifically, that he was sick, the mother felt threatened and continued to press felony charges. Earley knew that the charges would be an irremovable bar from his son’s career choice. 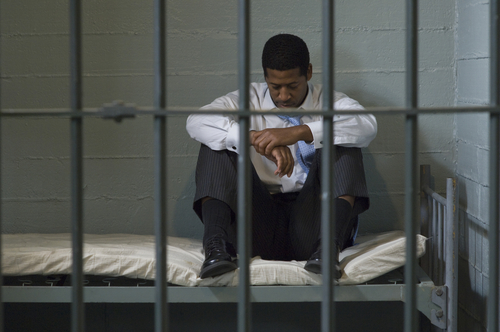 Because of the horrors of being unable to treat his son, and the unfairness of the charges, Earley decided to research the state of the mentally ill in the Miami jail system. There are, according to the staff psychiatrist, “a lot of people who think mentally ill people are going to get help if they are in jail. But the truth is, we don’t help many people here with their psychosis. We can’t. The first priority is making sure no one kills himself.” The psychiatrist said that the point of the prison was to dehumanize and humiliate a person. Such treatment is counter to improving anyone’s health. The psychiatrist’s task was to try to convince the inmates to take antipsychotic medication so that they could be deemed stable enough to stand trial. Earley was shocked at the state of the prisoners. Most of them refused the medication, and were clearly psychotic. Some huddled down into corners, covered in their own body matter. Some stood motionless and unresponsive. Some harassed the guards as they walked by with strange and crude accusations. The prisoners who were on suicide watch were stuck alone in a cell with no blanket, mattress, or clothes. Miami has high numbers of mentally ill homeless people because of the nice weather and the immigration from Cuba. It is rumored that when a law was passed allowing Cuban refugees to enter America, Fidel Castro released his mentally ill inmates and deported them all to America – they ended up in Miami. Earley picked mentally ill inmates at “random” and decided to follow them throughout the next couple of years to watch their recidivism rate. Most people who were released were not given proper care after release. They were given some pills and sent away; not being given proper social services to help keep themselves off the streets and stable. Thus, these people ended up back in prison within months. Others were held indefinitely because they cycled from jail to a hospital, where they were stabilized and deemed ready for trial; back to the jail, where they destabilized; and then back to the hospital again. Earely wasn’t only out to castigate the Miami prison system, he also focused on what the system was trying to do to make the situation better for the prisoners. He discussed the CIT program, which is meant to train officers to respond with compassion to mentally ill people in crisis so that they are less likely to be shot or arrested. (This program is discussed in a previous post.) Earley also researched institutions that tried to keep the mentally ill off the streets by housing them. The end of the book returns to his son. Luckily, after too many postponements, the family that was pressing felony charges against Earley’s son were unable to make it to the trial. Therefore, the sympathetic prosecutor and judge found him guilty of a misdemeanor and was he mandated to stay on his medications. His career was no longer at stake. Yes, it was a very important book, and I wish the people that “matter” would read it.